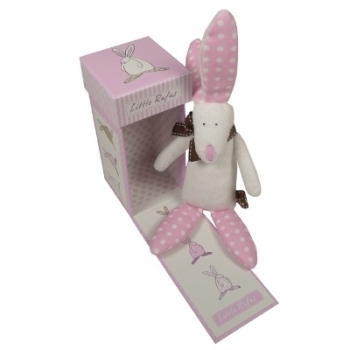 We love the Rufus Rabbit Range! Gorgeous and with a splash of blue or pink. Lovely, Lovely packaging and a bit of humour and they make baby gifts that are really rather nice. Whether as a keepsake to mark the birth, for a first birthday or christening the range of gifts are rather special for baby and are loved by Mum and Dad too.